25g approx 100 white and mixed coloured acrylic mixed shaped dolphin, whale & fish beads. Size: about 6-16mm x 7-16mm x 4-7mm hole: 1.5-3mm, random colour mix supplied. COLOURS ARE AS STATED I TRY TO DESCRIBE AS BEST AS I CAN! 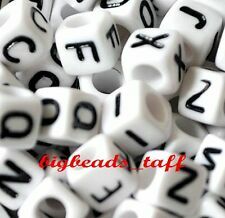 100 pcs acrylic number white beads, 6 & 7 mm, cube, single number 1, 2, ..9, #..
26g approx. 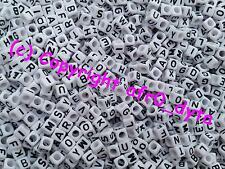 200 white and mixed coloured acrylic small teddy bear beads. Size: about 6mm x 8mm x 4.5mm hole: 1mm, random colour mix supplied. COLOURS ARE AS STATED I TRY TO DESCRIBE AS BEST AS I CAN! Clear Faceted Teardrop. Shape: Faceted Teardrop. 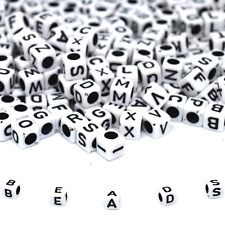 Acrylic Beads. Colour: Clear white. Material: Acrylic. 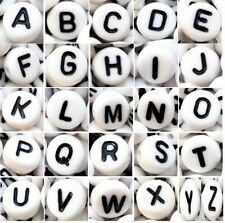 BLACK AND WHITE CANDY SWIRL ROUND ACRYLIC BEADS 8mm... TOP QUALITY ACRYLIC BEADS.... 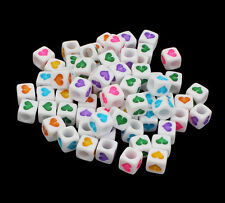 THESE HAVE A BRIGHT CANDY SWIRL PATTERN VERY UNUSUAL AND EYE CATCHING.... 8mm... 100 PER BAG.... HOLE 1.5mm... PLEASE CHECK OUT OUR OTHER ITEMS WE HAVE A HUGE RANGE OF BEADS ,FINDINGS AND PENDANTS ETC...CLICK HERE FOR MORE ITEM INFO AND A LINK TO OUR EBAY SHOP FOR THOUSANDS OF GREAT CRAFT ITEMS ....PLUS BUY ANY 6 ITEMS PAY FOR 5. 26g approx. 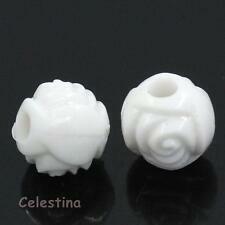 200 white and mixed coloured acrylic small turtle beads. Size: about 10mm x 6mm x 4mm hole: 2mm, random colour mix supplied. I WILL GET BACK TO YOU AS SOON AS I CAN. COLOURS ARE AS STATED I TRY TO DESCRIBE AS BEST AS I CAN! PURPLE AND WHITE CANDY SWIRL ROUND ACRYLIC BEADS 8mm... TOP QUALITY ACRYLIC BEADS.... THESE HAVE A BRIGHT CANDY SWIRL PATTERN VERY UNUSUAL AND EYE CATCHING.... 8mm... 100 PER BAG.... HOLE 1.5mm... PLEASE CHECK OUT OUR OTHER ITEMS WE HAVE A HUGE RANGE OF BEADS ,FINDINGS AND PENDANTS ETC...CLICK HERE FOR MORE ITEM INFO AND A LINK TO OUR EBAY SHOP FOR THOUSANDS OF GREAT CRAFT ITEMS ....PLUS BUY ANY 6 ITEMS PAY FOR 5. 100 x Glossy Acrylic Rose Beads. 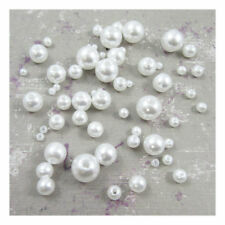 White - GORGEOUS BEADS. 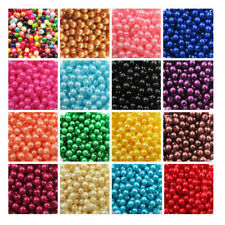 100 beads per order. Lovely lightweight beads.